Swan Montgomery "Robert Plant" - Lead Vocals and Harmonica Anthony Thymiakos "Jimmy Page" - Electric and Acoustic Guitar, Mandolin and Theremin, Jim Wootten "John Paul Jones" - Bass, Keyboards, Mandolin, 12 String Acoustic Guitar and Bass Pedals, Derek Smith "John Bonham" - Drums and Percussion. A bit of a rough start to the show but overall the show was fantastic. These guys never disappoint. I have been seeing this band for over 30 years and it is always a great show. This time they finally played my song. 30 years in the making and definitely worth it. Rock on guys! Amazing!! Always! I really love Led Zepagain! Band and venue were both very good. Band shirt of looked like Zeppelin but sounded remarkably like them. Sometimes "Robert" sounded a little bit off but I think even the real Robert doesn't sound like the record all the time. Every band member is top notch and they most truly be the best Zeppelin tribute band. 100% Righteousness! These dudes are legit! It was an amazing evening with three different tribute bands taking the stage. 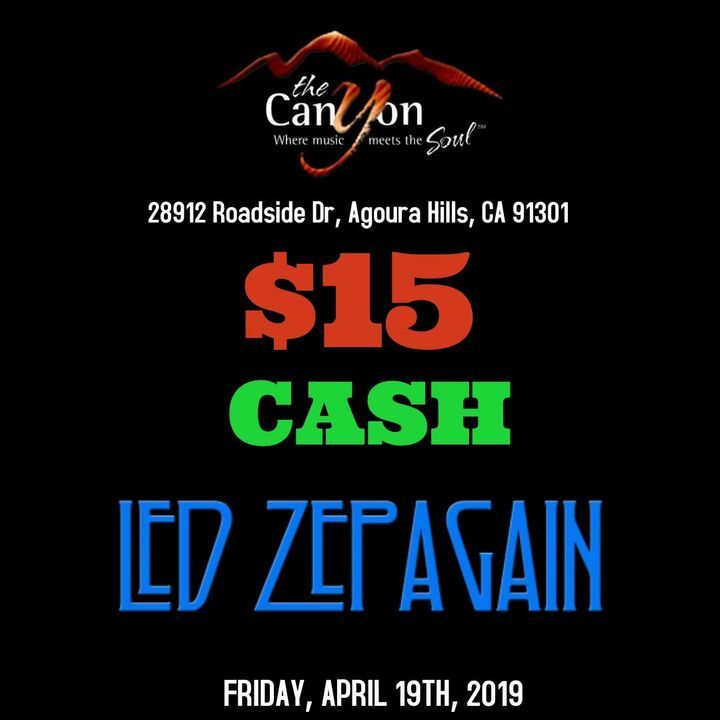 Led Zepagain performed a wide variety of Led Zeppelin songs with both precision and passion. They delighted in sharing the experience with an engaged full house! Awesome show! Anthony, the lead guitarist was incredible!